Just Jazz presents smooth jazz and swinging pop sounds of today and yesterday. The group offers a collection of best loved songs from the American Songbook. Tributes to the great Divas of our time and Rat Pat Era classics are offered using the live music of horns, drums, piano, bass, guitar and talented male and female vocalists. 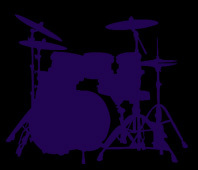 Audiences will find themselves moved and feeling the excitement of their music. Just Jazz covers the Carpenters, Beatles, Broadway, Holiday music and much more to span the ages. It is an unforgettable journey through the timeless songbooks of our lives. Just Jazz is available for private events of all kinds. corporate business gatherings and public and private school assemblies for all age students. 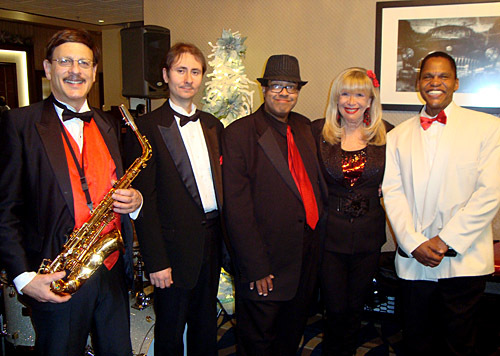 We perform for all holiday gatherings and can adjust our set lists to please any client and their needs.